Make something different! Make something together! Microwave popcorn is a staple over here at my house when it comes to movie night. (or any other night for that matter!) One of the things we like to do is try out different kinds of popcorn recipes. To find a new idea, do a simple Pinterest search of “popcorn” and you will have more options then you know what to do with. You might want to try out this Marshmallow Popcorn that is super cheap and easy to make. It calls for two bags of popcorn but that doesn’t stop us from consuming the entire recipe in one movie! Think of foods that you don’t usually eat on a regular basis. My husband and I both LOVE cheese, the more options the better. I think for our next date night I am going to make a stop at our local grocery store and pick up a variety of cheese and crackers and create a platter. What kind of fancy foods do you and your sweetheart like to splurge on? Oh! Don’t forget to watch out for deals on your special sweets! The other night I stacked a $1 off coupon with a 2 for $4 sale on Ben and Jerry’s ice cream. Making this delicious pint of spectacular ice cream only ONE dollar! That was a sweet treat for our movie that night! We have our same spots were we always sit on our couch. I am sure one day you will be able to see our exact shapes imprinted on the cushions from us consistently sitting in the exact. same. spot. We need to mix it up! How about transforming your living room or maybe your bedroom into a completely different space for the night. Or at least for the next two-ish hours. Making a tent is always a romantic idea, add some stringed lights to really light up your night. If you aren’t quiet a fort building expert you can go a simpler route by just decorating the room with an abundance of Christmas lights. The more the better, you can’t over do it for this special décor occasion! How about half and half? Half stringed lights and mix in some dreamy candles. 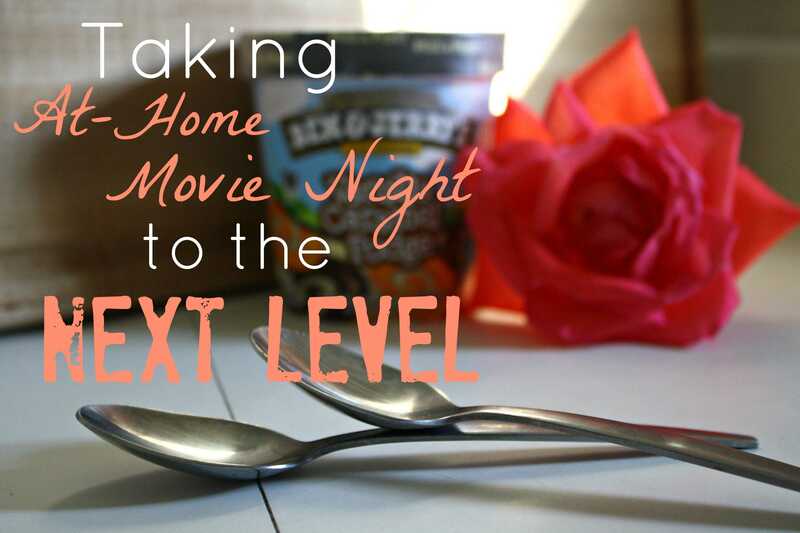 Are you excited to try out some new ideas to makeover your movie night?! I am! Make sure to follow me on Instagram and Twitter to see how these ideas play out for our at-home-date nights. Also, I would love to see you show off your fancy night in! Have fun! Doesn’t a tent sound romantic!? Thanks for stopping by Andie! Have fun setting up your date! Thank you SO much April for sharing! It is always so much fun to find other people who share the same interests! I really appreciate you stopping by! Thanks for the great ideas. Going to the movies used to be one of my husband and I favorite past times, until we had 5 kids. Now, the thought of paying 85+ dollars to go is out of the question, so these movie night tips will really help us recreate that special moment. Yes, kids has limited our visit to the theaters. We maybe go one – two times a year lol! 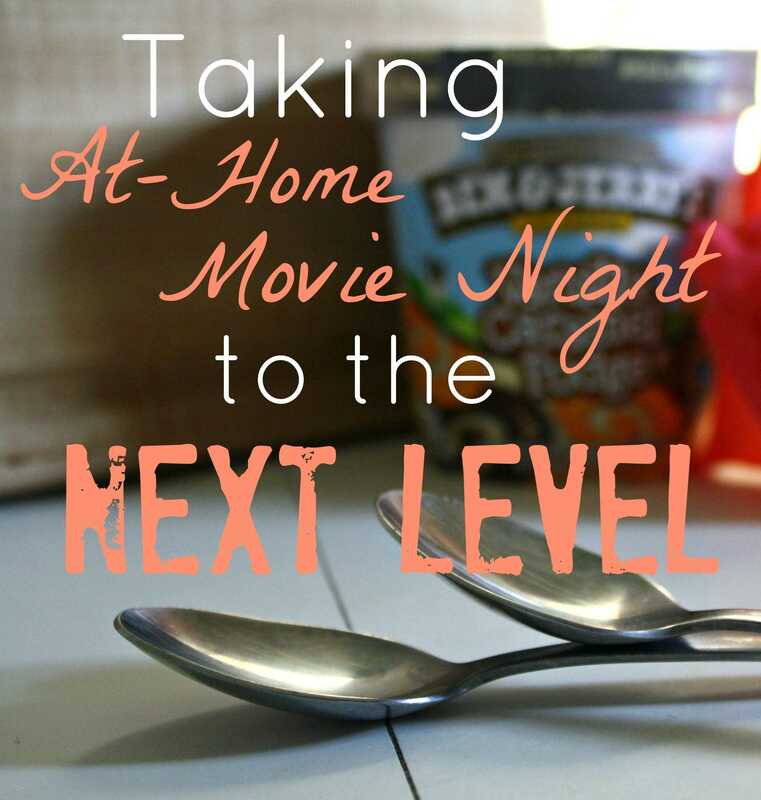 Great ideas to make movie night that much more fun! My husband and I are retired but I love to create a fun atmosphere when the grandkids come spend the night. Thanks for sharing with Creative Spark Link Party. I hope you can join us again this week, the party is live today. Thanks Glenna! It is always fun to mix things up! I am glad you like the ideas and for the great party! Thanks Natasha! Movie night is one of our favorite at home dates! Thanks for stopping by! I love movie night. Whether just with my significant other or with the kids. It’s a much cheaper option than going to the movies and everyone can have a chance to participay=te by making their own favorite snacks. Exactly! It can be fun for the whole fam or just for mom and dad! Thanks for taking a look Laina! These are really sweet ideas! so cute. I am planning a movie night tonight with my husband. Going to do a mini concessions stand with candy a few bags of chips, wine and of course popcorn 🙂 I am going to do the lights too. What a fun idea! I bet your hubby loved it! Thanks for stopping by Lisa!